In the golden years, loneliness can become very real and can lead to depression which can accelerate mental and physical deterioration. There are a lot of ways for seniors to combat loneliness. Perhaps the favorite option is with a furry friend. Below are some benefits of pets for seniors and tips on finding the animal that’s right for you or your loved one. 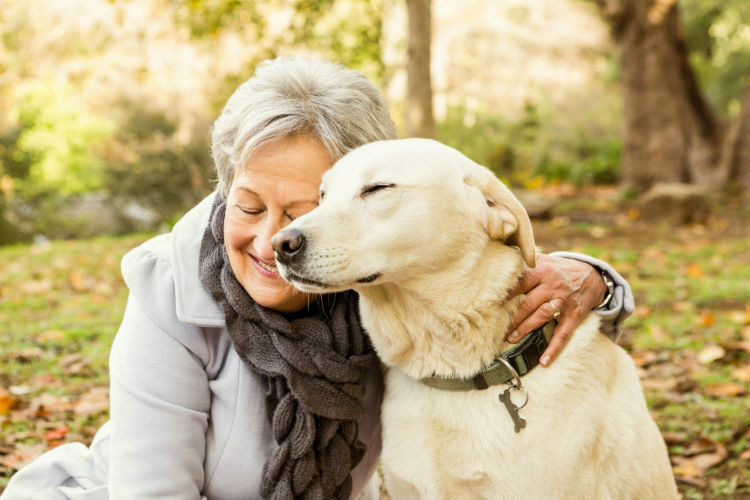 What Are the Benefits of Pets for Seniors? It is well known that pets provide companionship at age in life, including for seniors. There are also numerous other benefits of pets for seniors. Pets need regular care such as daily feedings, walks, and warm places to sleep. They thrive with routines and schedules. The same can be said for seniors. Pets provide seniors daily structure and reasons to get up and move around. Pets, especially dogs, need exercise. Pets and their senior caregivers can make a daily habit of taking a walk around the block or down the sidewalk. The exercise will benefit both you and your furry friend! It’s easier for seniors to make friends when they have something in common with each other. Sharing a love of pets and swapping goofy pet stories can provide a springboard to a beautiful friendship. When it comes to pets and seniors, the most important step is finding the friend that best suits their lifestyle. You will want select a cat, dog, or other friend that best matches you. If the senior is active, they can consider an active pet like a medium-energy dog who enjoys walks. If the senior has some mobility issues and is not able to walk or get around easily then they may want to consider a low-energy pet, like a cat. Still pet ownership may not be right for every senior. There are many drawbacks with pet ownership that need to be considered. It takes a daily time commitment, financial and home stability, and good mobility to care for a pet. There are still many ways for seniors who may not be able to own a pet to benefit. Seniors can take part in pet therapy where they have the opportunity to visit with and enjoy animals for a little a while. Pet therapy has shown to improve appetite, social interaction, brain stimulation, and tactile activity. Seniors can also benefit from the pets of family and friends. Scheduling a visit with a neighbor and their dog, for example, provides you with an opportunity to enjoy an animal for a brief while and also gives you the chance to stay social. Seniors with pets are more likely to want and be able to age in place. This supports the Senior LIFE mission of keeping seniors at home and living in the community for as long as possible. Further supporting this effort for seniors to stay at home, members of the LIFE Program have access to all of their health and supportive services in one care plan.